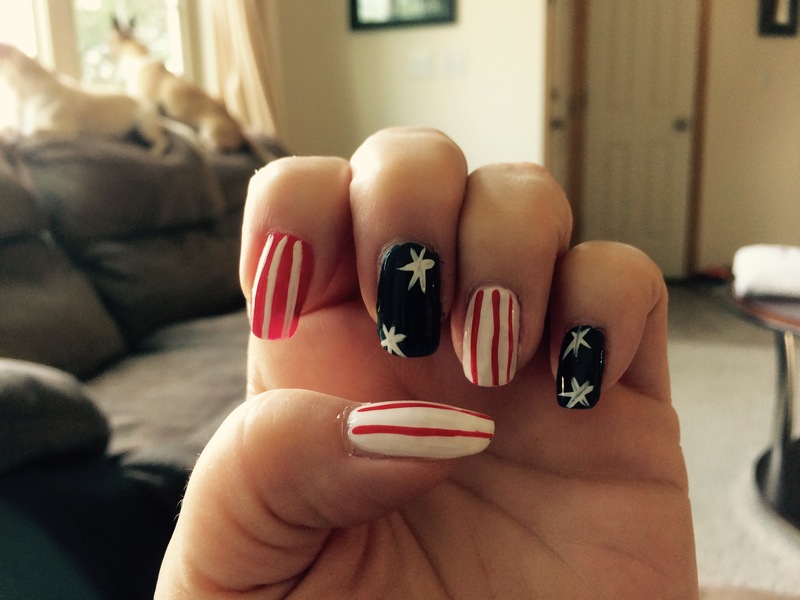 For the past few years I’ve posted July 4th nail art. This year is different. While I didn’t intentionally paint my nails these colors for July 4th, this is how I feel. The blue tips are for me being disgusted with what is happening in the United States, and I’m blue. The flat pink is for Pepto Bismol, which is an antacid reliever, as I feel sick to my stomach. I wanted to celebrate independence day, but with the way things are going in the United States, I’m not sure how much longer we will be independent. We have a juvenile numb nuts for president who is clearly mentally unstable. If he doesn’t like what is said about him in the media (which is a lot) he shouts fake news! His die hard followers believe whatever he spews forth. I really want to believe that all of his supporters can’t be that stupid, but one really has to wonder. Wake the f*&k up my fellows Americans, before this jackass takes us any farther down the rabbit hole.